I always promise myself to keep up with web-comics and I rarely ever succeed. The advantage of print is there is no way a comic book will reside on my shelf for longer than a week before it's hunted down and read. 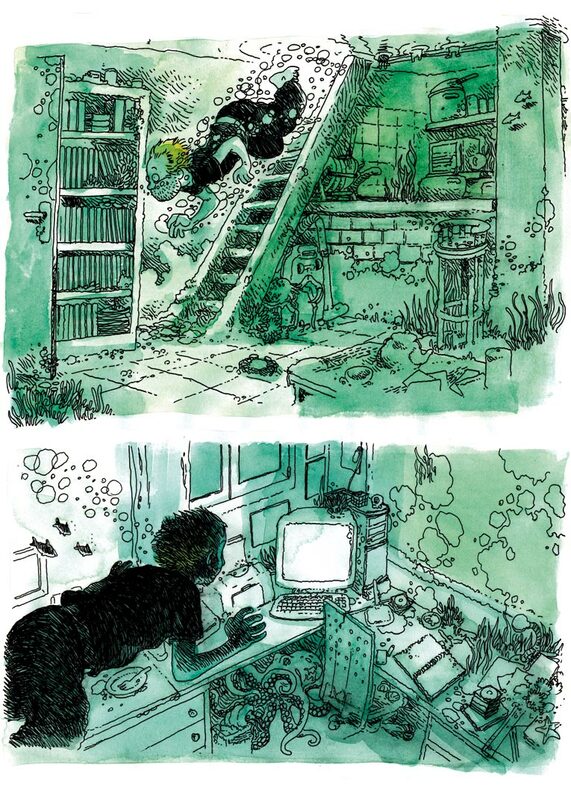 French comic artist Boulet (aka Gilles Roussel) has an absolutely fantastic site on which he has been posting since 2004(! ), which I don't frequent enough. You may remember him from that simply stupendous 24 hour comic he did earlier this year which left the Internet's collective mouth agape. 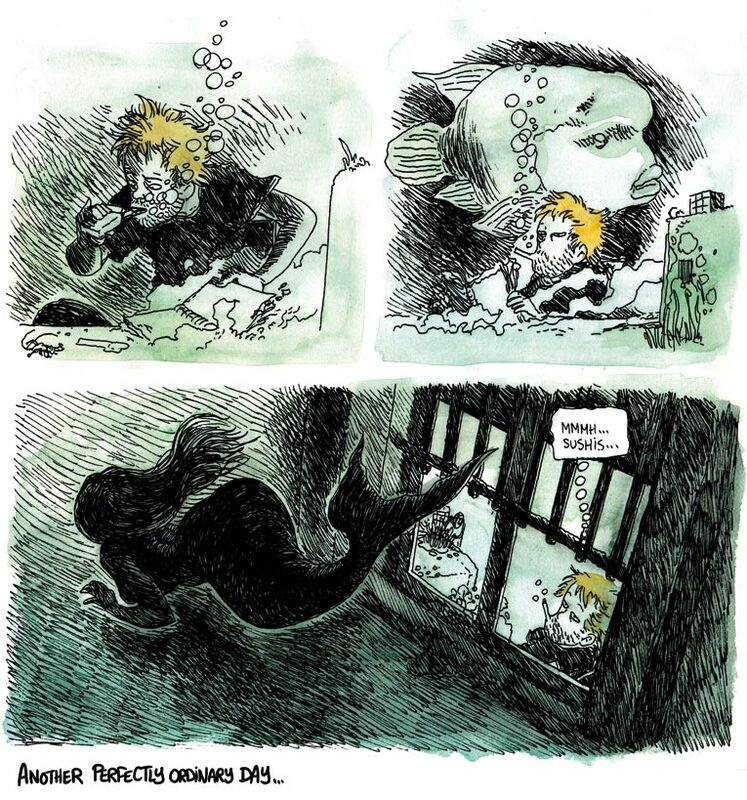 Below is a comic he posted earlier this month imagining the mundane realities of living underwater. I love anything aquatic related so it goes without saying I think it's pretty great. 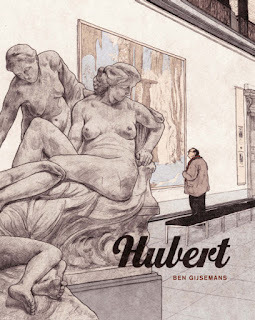 If you haven't visited his site yet, you should definitely do so- I don't think you'll be disappointed.